When Are First Early Potatoes Ready for Harvest? When exactly your first early potatoes will be ready for harvest will depend on a number of factors, including the weather conditions you have experienced where you live, the variety or varieties you have chosen to grow, the light levels, water levels etc.. Generally speaking, however, there is a rule of thumb which states that first early potatoes will be ready for harvest from around ten weeks after sowing the seed potatoes in your polytunnel. How Can I Tell if Potatoes Are Ready To Harvest? There are few hard and fast rules for determining when your potatoes are ready to harvest. 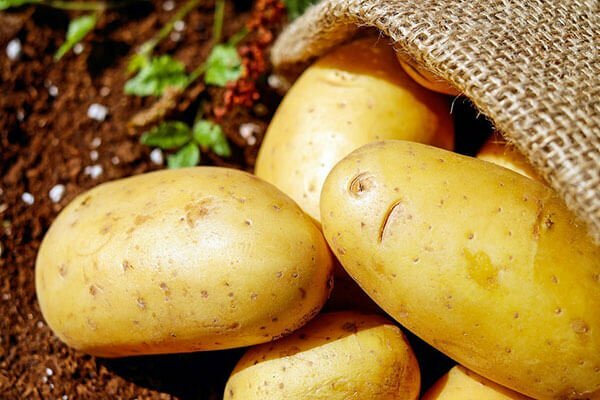 Some gardeners will say that potatoes are ready for harvest as soon as the plants flower, though this is not always a reliable sign, as sometimes there will be plenty of tubers to gather before there is any sign of flower buds. The soil quality and conditions in your polytunnel can make a big difference to what plants will look like come harvest time. Fortunately, you can check to see if the tubers have reached a reasonable size without uprooting the entire plant. Simply reach your hand gently into the soil around the base of the plant and feel around. Often, you will be able to harvest a few of the earliest first earlies in this manner, without having to stop the plants from continuing to produce more tubers. Gently feeling around under the soil can give you a good idea about how many tubers have formed and what sort of size they have reached, before you commit to lifting the plants. Once you have determined that there are a quantity of worthwhile tubers to harvest, you can lift your plants. A number of tubers will likely be uprooted with the above-ground portion of the plant and can be gathered up. However, after doing this, you should also delve into the soil and unearth other tubers that have remained in the ground. If the soil is friable enough, you can often do this with your hands. Though you can also carefully unearth your first early potatoes by turning over the area with a garden fork. Make sure you get every tuber – those you do not harvest but leave in the ground will re-grow the following year. While this may sound like a good thing – leaving potatoes in the ground can cause a problem and spread diseases. It is best to make a clean sweep of it each year. Have you had potatoes popping up unexpectedly in your polytunnel? Let us know your experiences in the comments below.